Dr. Lee has a specific research interest in the role of gene therapy cell based therapy in cardiovascular disease and has been involved in organizing local and multicenter trials regarding the potential role of these novel therapies in the treatment of coronary disease. Dr. Lee has been active in establishing the Transcatheter Aortic Valve Replacement(TAVR) program at UPMC in conjunction with the cardiac surgical colleagues. UPMC has one of the leading TAVR programs in the country. 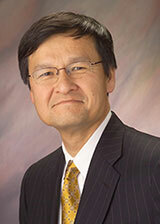 Dr. Joon Lee is Division Chief of Cardiology and Executive Director of the UPMC's Heart and Vascular Institute (HVI). His clinical interests are in the area of interventional cardiology, catheter based valve replacement and models of care delivery. He also serves as the central clinical liaison between the HVI at Presbyterian Hospital and the multiple cardiology divisions in UPMC's affiliated institutions, including St. Margaret's Hospital, Passavant Hospital, and Magee Women's Hospital among others. In this administrative capacity, Dr. Lee has been successful in bringing these many institutions together in forging an environment that promotes collaboration in the clinical and research arenas. Lee, J. S., Feldman, A. M. Gene Therapy for Therapeutic Myocardial Angiogenesis: A Promising Synthesis of Two Emerging Technologies. Nature Medicine. 1998; 4(6): 739-42. Cohen, H. A., Zenati, M., Smith, A. J. C., Lee, J. S., Chough, S., Jafar, Z., Counihan, P. J., Izzo, M., Burchenal, J. E., Feldman, A. M., Griffith, B. Feasibility of Combined Percutaneous Transluminal Angioplasty and Minimally Invasive Direct Coronary Artery Bypass in Patients with Multivessel Coronary Artery Disease. Circulation. 1998; 98(11): 1048-50. Villanueva, F. S., Abraham, J. A., Schreiner, G. F., Csikari, M., Fischer, D., Mills, J. D., Schellenberger, U., Koci, B. J., Lee, J. S. Myocardial contrast echocardiography can be used to assess the microvascular response to vascular endothelial growth factor-121. Circulation. 2002; 105(6): 759-65. Marroquin, O. C., Selzer, F., Mulukutla, S. R., Williams, D. O., Vlachos, H., Wilensky, R. L., Tanguay, J. F., Holper, E., Abbott, J. D., Lee, J. S., Smith, C,, Anderson W. D., Kelsey S. F., Kip, K. E. A comparison of bare metal and drug-eluting stents for off-label indications. New England Journal of Medicine. 2008; 358: 342-352. Nair, P. K., Marroquin, O. C., Mulukutla, S. R., Khandhar, S., Gulati, V., Schindler, J. T., Lee, J. S. Clinical utility of regadenoson for assessing fractional flow reserve. JACC: Cardiovascular Interventions. 2011; 4(10): 1085-92. Chu, D., Anastacio, M. M., Mulukutla, S. R., Lee, J. S., Smith, A. J., Marroquin, O. C., Sanchez, C. E., Morell, V. O., Cook, C. C., Lico, S. C., Wei, L. M., Badhwar, V. Safety and efficacy of implementing a multidisciplinary heart team approach for revascularization in patients with complex coronary artery disease: an observational cohort pilot study. JAMA Surgery. 2014; 149(11): 1109-12. Olafiranye, O., Vlachos, H., Mulukutla, S. R., Marroquin, O. C., Selzer, F., Kelsey, S. F., Williams, D. O., Strollo, P. J., Reis, S. E., Lee, J. S., Smith, A. J. Comparison of long-term safety and efficacy outcomes after drug-eluting and bare-metal stent use across racial groups: Insights from NHLBI Dynamic Registry. International Journal of Cardiology. 2015; 184: 79-85. Sanchez, C. E., Dota, A., Badhwar, V., Kliner, D., Smith, A. J., Chu, D., Toma, C., Wei, L., Marroquin, O. C., Schindler, J., Lee, J. S., Mulukutla, S. R. Revascularization heart team recommendations as an adjunct to appropriate use criteria for coronary revascularization in patients with complex coronary artery disease. Catheterization and Cardiovascular Interventions. 2015. Cavalcante, J. L., Rijal, S., Althouse, A. D., Delgado-Montero, A., Katz, W. E., Schindler, J. T., Crock, F., Harinstein, M. E., Navid, F., Gleason, T. G., Lee, J. S. Right Ventricular Function and Prognosis in Patients with Low-Flow, Low-Gradient Severe Aortic Stenosis. Journal of the American Society of Echocardiography. 2016; 29(4): 325-33.